The other major group of works presented to the [Italian] Ministry of Culture was confiscated from the California home of David Holland Swingler, a food importer, by US Customs officials collaborating with the Italian police. The Swingler cache was returned to Italy in June. ... When US Customs officials searched Swingler's home in Laguna Hills they discovered a similar hoard of artefacts. The investigation into Swingler has revealed just how easy the business of smuggling artefacts can be. It seems that during trips to Italy, Mr Swingler made direct contact with tombaroli by visiting archaeological sites and simply asking around. Artefacts looted from Etruscan and Apulian sites by tombaroli collaborating with Swingler were passed onto his Italian partner and shipped to the US hidden among bundles of pasta in food containers. In 1996 Swingler was sentenced in absentia by an Italian court to four years and eight months in prison and he was ordered to pay around $6,000 for damages to the archaeological heritage, the first time Italy has imposed such a fine. 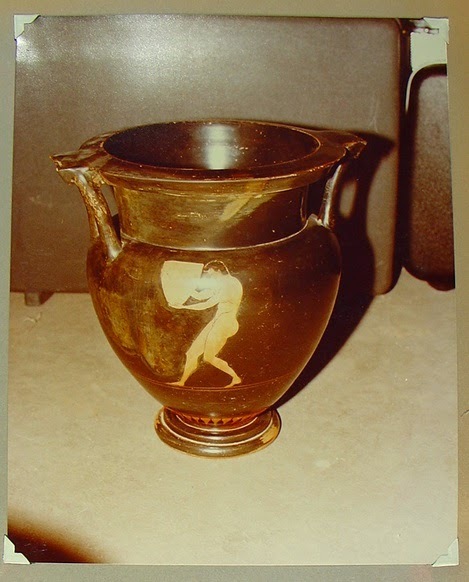 During the raid in Laguna Hills a number of images were seized, among them an Attic red-figured krater attributed to Myson. The krater was reported to have been sold to 'a major East Coast collector'. This krater is clearly the same one that is due to be auctioned at Christie's Rockefellar Plaza next week on December 11 (lot 95; $60000-$90000 estimate). And Glasgow University researcher, Dr Christos Tsirogiannis, spotted the link. with Royal-Athena Galleries, New York, 1980. The Morven Collection of Ancient Art; Christie's, New York, 8 June 2004, lot 320.
with Royal-Athena Galleries, New York, 2005 (Art of the Ancient World, vol. XVI, no. 86). 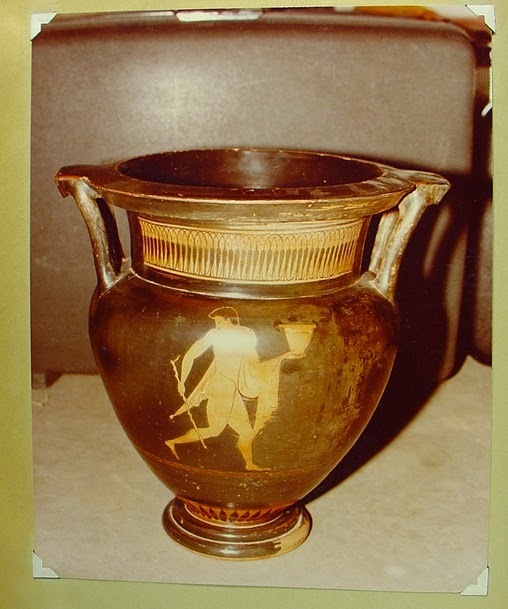 What is the documented and authenticated collecting history of the krater prior to 1980? Who was the 'major East Coast collector' who is reported to have acquired it? And is The City Review right to note that 'Morven' was the Virginia home of Kluge? And if so, why does Christie's add John Kluge as a separate entry in the collecting history? This is not the first Royal-Athena Galleries --- Kluge krater that has attracted the attention of LM. And we know that there are issues relating to the Kluge collection, and that two bronzes formerly in that collection have been returned to Italy. In the 2004 sale, Max Bernheimer of Christie's wrote in the catalogue that "Many [of the lots] have renowned provenance". Does the "renowned provenance" include the "Swingler collection"? We presume that Christie's will now be contacting the Italian authorities.